There are 1 cat videos tagged with ape. One YouTube commenter states that at Zoo World in Panama City Beach, Florida an unlikely pair formed a friendship. 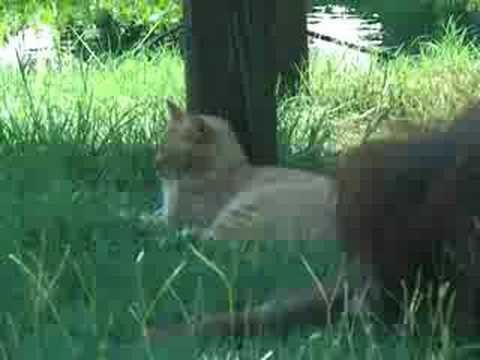 Tonda the orangutan's mate passed away so she befriended a cute orange cat. Unfortunately, Tonda passed away at age 50 and is dearly missed. The friendship with the cat may have made the last few years of her life a little happier.